This ninja-to offers double edge full tang titanium coated stainless steel construction and a distinctive blade appearance. 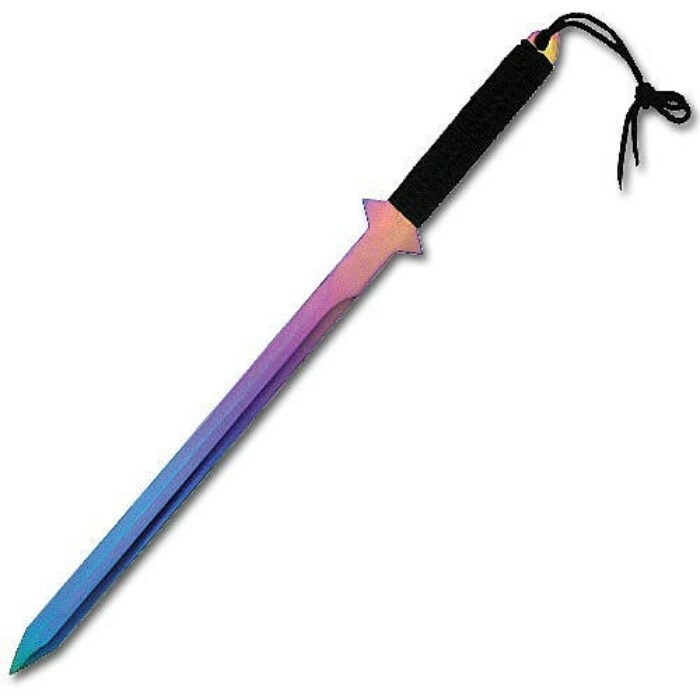 The special blade finish, sometimes called "spectrum treatment", causes the colors to shift at different angles and lighting. Other features include a two-spike guard to prevent slipping, a black nylon cord wrapped handle, and a crushing handle end point. Includes a black nylon sheath that can be worn over the back. 26 in. overall.